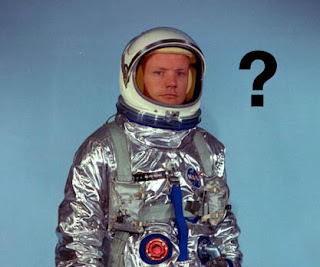 STF22 – Neil Armstrong, where are you? Hello Universe, it’s Episode 22 of your Space Task Force. Tim gives us the mission plan for Yuri’s Night 2008; we see what’s up with the Moon and Mars in Washington, D.C.; and George’s special invitation to Neil Armstrong. It’s all ahead on the Space Task Force. (If you hear pops in the podcast, it’s just our nozzle test for the Lunar Lander Challenge). Hello Everyone – STF 21 – The Spirit of Exploration. Tim and George discuss the launch of STS-123, Yuri’s Night (which is coming up April 12), getting the “NextGen” excited about space, COTS, Constellation, a one-way ticket to Mars, robot versus human exploration, three movies to get excited about. We also invite Neil Armstrong on the show. Mr. Armstrong if you’re listening contact the NSS – tell them you’d like to be on STF. Thanks! A Special shout out to Sharks: Knights of the Sea – George’s exploration of inner-space to help protect sharks. The release date is March 18, 2008. I hope the weekend is going well for you. Here’s a link to our second show. Loretta Hidalgo Whitesides. She’s President of the Space Generation Foundation. She’ll talks about Yuri’s Night — and what it could be like to honeymoon in space. Michael Cassutt, a good friend and award winning writer and producer. Michael is an expert on all things related to the Russian space program – and he’s written such books as “Deke! : An Autobiography ” and “We Have Capture: Tom Stafford and the Space Race “. George and Tim wrap up the week.